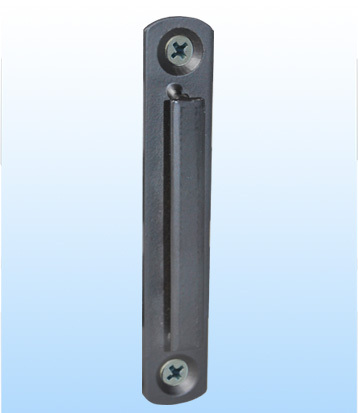 Retractable Barrier Wall Receiver. Matte Black. Buy Online NOW! This retractable barrier wall receiver is used together with retractable barrier wall receivers or retractable barrier posts from the Q-Line range. Easy to use, they simply need to be mounted onto a flat surface- all wall mounting hardware is included to have you creating your barrier within your premises. 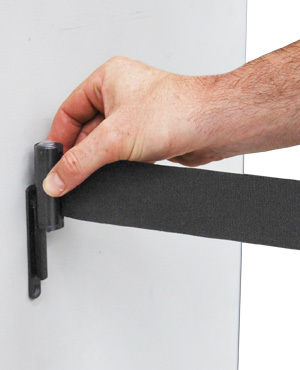 The retractable barrier belt has a clip on the end that simply slides onto the wall receiver to create a barrier. Places such as nightclubs, hotels and museums often use these to help with the control of patrons and crowds. Fix the wall receivers near doorways, entrances or onto walls to professionally maintain and control areas of your premises. All of our products are individually packaged which protects them during shipment, plus we ship to anywhere from Canberra, Perth, Brisbane, Sydney- Australia Wide! Take a look at more Q-Line products which are part of our huge Rope & Retractable Barriers range.